I do not own DL version of this, but from the pics I have seen is a very close dupe!!! If you have wanting DL Candy Shop run to Claire's and pick this baby up. ooooh looks so pretty, I love it! Yaaaay a dupe! Thanks so much for the post! 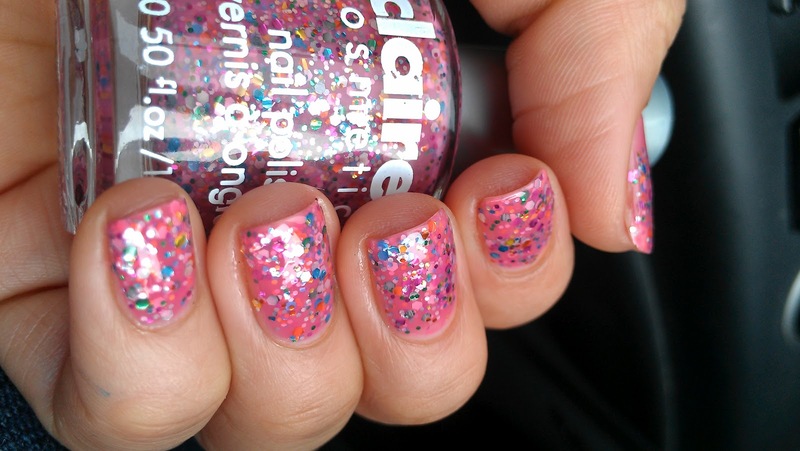 Your Claire's has more interesting (and bigger, named) polishes than we do here. Very pretty and cute. I need to go find this ASAP!! Hey, thanks for the tipp! 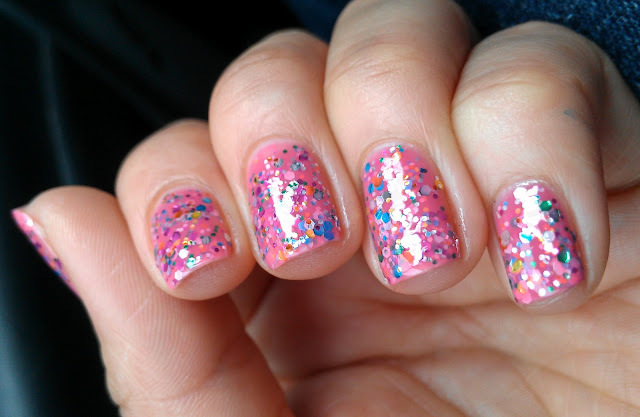 I love this polish!!! So glad I saw this! I gotta go get it! Thanks for sharing. Woow, this is sooo pretty I heard something about this before but thankyou for the pictures, it's not going to be easy getting hold of this one for me ! 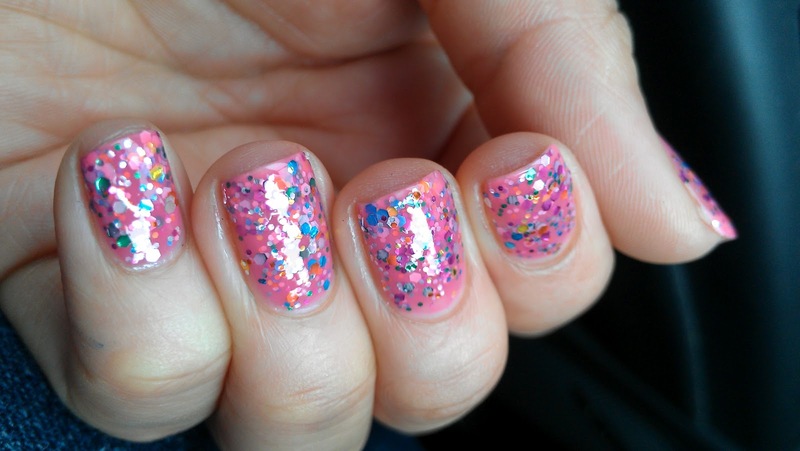 Im not a big pink fan but I really love this! I might just go and pick this up! I've been meaning to get this, it looks so amazing! I have to make it over to Claire's sometime soon. I'm not sure about this one.. I normally love pretty pink things.. But I was at claires today and saw this... and actually picked it up, prepared to buy it.. and actually set it back down... :\ Do i have a fever or something? 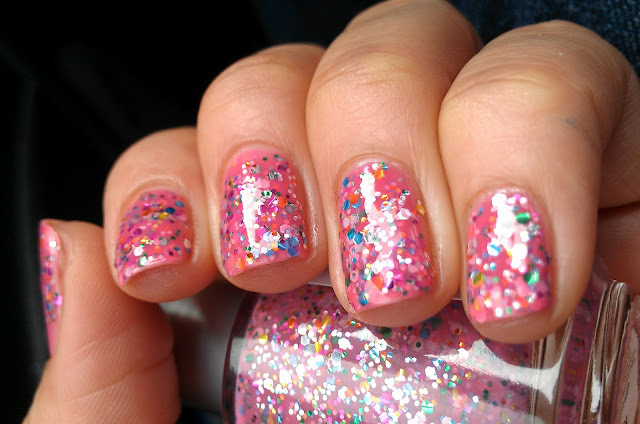 My daughter has both and saw the Claire's version... she says it is a little grayer and it looks like the glitter is smaller and not as plentiful as in the DL version. Personally, I think it is really cheesy that they even used the same name. Bad enough they rip someone off by copying them... but the same name? Give me a break. 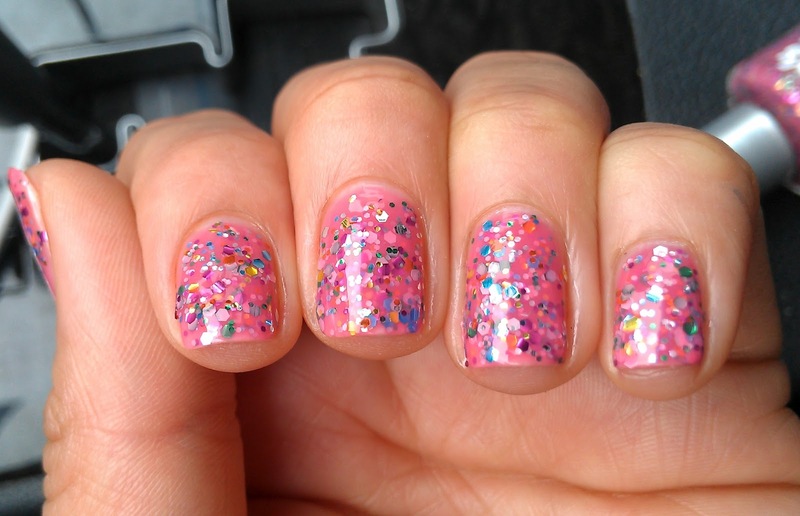 This makes me think of frosting with sprinkles on top! It's so pretty! It's interesting how they didn't even bother to change the name! lol... This is gorgeous though.. I love it and would like to own it. Too bad I can't get to Claire's right now. I like it! So yummy-looking! Yay, a very cute look-alike!! i gotz to go pick this up!!!! Who's hungry for a GLITTER Sandwich?? ?